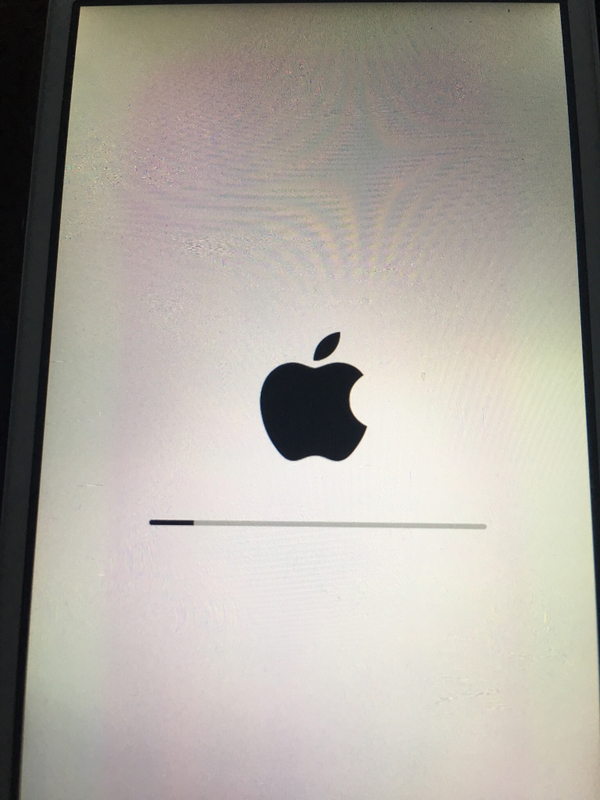 It's the screen you see during a software update. If you didn't do anything to make this happen then a software update is likely being pushed to you due to lack of manually updating to the latest version. It looks like you've downloaded a software update and it's in the process of installing. did u notice the gradient white colour on the screen ? At the edge of the screen, it's kind of greenish white, surrounding pinkish white in the center. Is this normal ? No, it's not normal. My iPhone 5 never looked that way. You might check your settings in settlngs > General > Accessibility >Display Accommodations. See if anything there is out of whack. If not, take it to a reputable repair shop and see what they say. Apple Store is best. Hendri Hendri, Annie_8plus and robertk328 like this. Me either! Sorry about that! Yeah, Apple says it's hardware related. Hopefully, it won't be too worrisome for you. Probably wise. For that phone it's not really worth the price in many cases. Plus with the screen on something other than that one you may not notice it! Being an LCD screen and backlighted looks like some of the LED which provide the light to the screen, maybe it overheated or got some moisture inside the phone, that can damages the LEDs and the circuits. Comic: Good Enough is Good! Is my Matte Black iPhone 7 supposed to make a rattle sound when I tap it? My phone keeps saying unable to migrate Why is this?